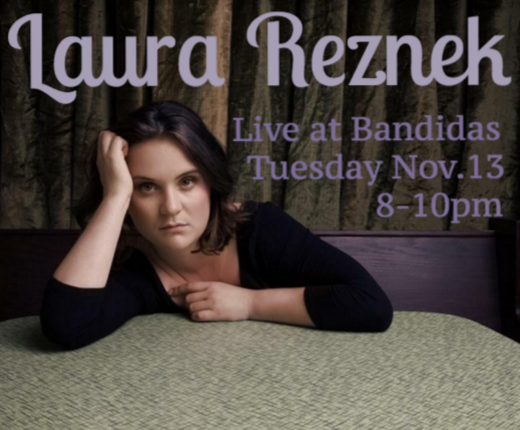 Laura Reznek has been on a live music journey with Bandidas since we started having artists here and has since become a regular act. Beautiful piano melodies and haunting vocals, Laura is a local performer not to be missed. Check out Laura’s wesbite for tours, photos, booking and more.